Wildfires (brushfires, bushfires, forest fires) in the Philippines occur mainly during the dry season. They are caused mostly by cultural practices and human activities, which could be deliberate (i.e. kaingan or the slash-and-burn method of agriculture), incidental (use of fires to smoke away the bees in order to get their honey), to accidental (i.e. from cigarette butts). While fires figure in the natural cycle of some ecosystems, El Niño and other cyclical climate changes can further aggravate the risk of wildfire occurrence. While the most common damage dealt by brushfires is on vegatation both natural (forests) and man-made (agricultural), there is also the dangerous possibility of brushfires claiming human lives – brushfires can move as fast as 22 kilometers per hour in grasslands, engulfing hectares of mountain slopes quickly. 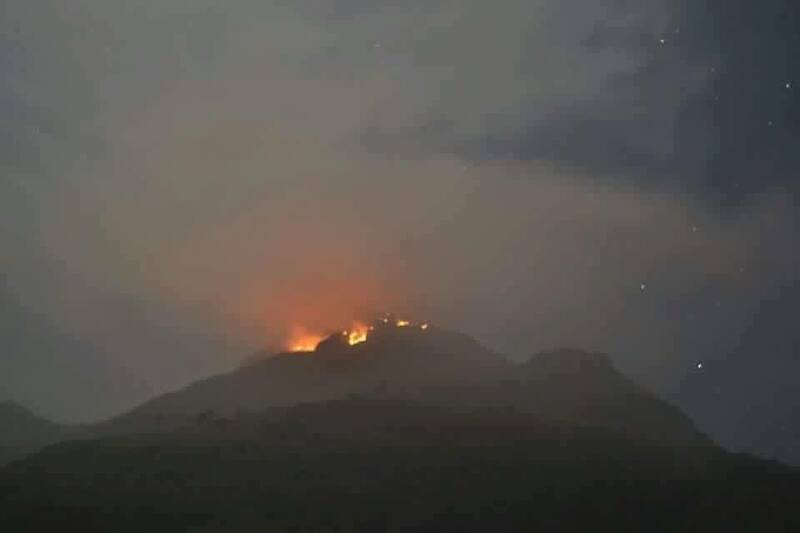 Moreover, there is also the incalculable loss of affecting biodiversity and fragile ecosystems – as we witnessed in recent years with fires ravaging Mt. Apo and Mt. 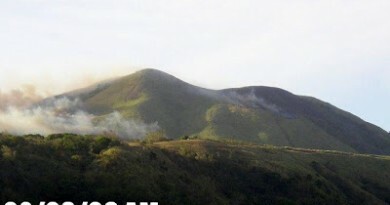 Pulag. 1. Know the fire risks for the mountain you’re planning to climb. If it’s dry season and a mountain is at risk of brushfire, consider changing your destination. Be guided by advisories from official bodies and tips from fellow hikers. It is also important to have prior knowledge of the mountain you’re climbing: knowing where the bodies of water and alternate trails are can be life-saving. Mountains at risk include, but are not limited to the following: Anawangin, Balingkilat, Tarak Ridge, Mt. Calavite, Mt. Iglit, Mt. Talamitam, Pico de Loro, Mt. Batulao, Mt. Sembrano, Mt. Pulag, Mt. Ugo, Mt. 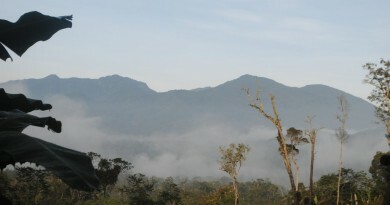 Tenglawan, and others with similar conditions – but even forested mountains like Mt. Apo and Mt. Kitanglad can catch fire in the dry season. 2. Avoid adding to the fire risk. Avoid cooking in fire-prone mountains and in any campsite keep flammable debris away from your cooking areas – these include dry leaves, twigs, and other easily-combustible materials. It’s also be important to be careful about the use and storage of any fuel (e.g. butane canisters) and flammable materials (e.g. alcohol, gas) as they can exacerbate fires. 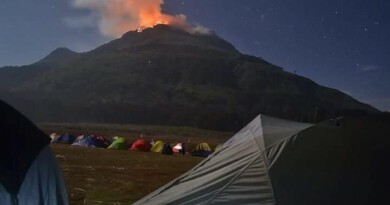 Campfires are strongly discouraged even in wet season (in keeping with the Leave No Trace principles) but they are even more discouraged at this moment. Avoid smoking. Be very careful with the use of stoves, burners – in high-risk campsites you may want to avoid them entirely. 3. Educate and guide your fellow hikers. If you see anyone smoking in the grasslands of Tarak during the El Niño season, don’t hesitate to tell them to stop doing so, and educate them about fire safety! What’s at stake is not just their convenience but the safety of all the hikers – and the mountain itself. 4. Stay vigilant. You can actually hear and smell the sound of burning bushes; at all times be vigilant about unusual signs in your environment. If you recognise that there is a fire ahead in the trail, gather more information and consider changing course based on the trajectory of the fire, the wind direction, and existence of trails and bodies of water where you can take refuge in/past. 6. Coordinate with local authorities. Please report immediately about brushfires, or mountains you think are at high risk for brushfires, so we can spread to word to fellow mountaineers. Importantly, report also to local authorities such as the DENR-PASU or the local government. This is another reason why it’s important to have contact numbers at hand even before you hike. 7. Support the reforestation of our mountains. 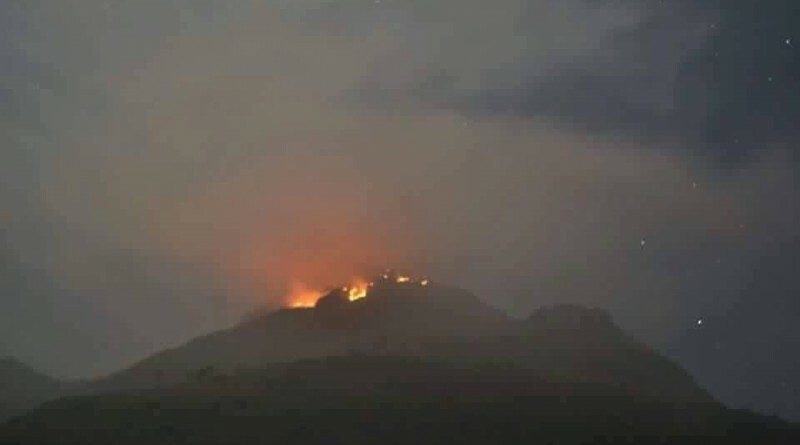 In the long run, it is also worth noting that many slopes that are now fire-prone grasslands are formerly forest areas that were converted as a result of deforestation. Helping out in sustainable tree planting and growing campaigns will help prevent the occurence of brushfires in the future.